Our fully-trained technicians and bodywork specialists have experience of working on Porsches of all vintages, including completing a number of full restoration projects that delighted the owners of the now pristine air-cooled 911s and front-engined 1980s Porsches. 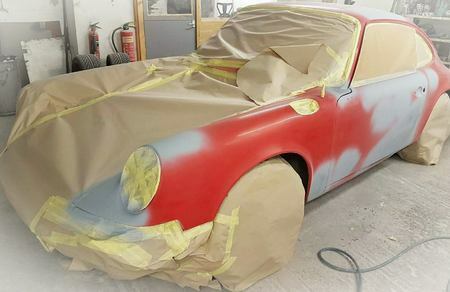 We have full body shop facilities at Revolution Porsche Birstall and can undertake everything from accident damage repairs to full rebuilds from a bare shell, complete with repainted components or a custom respray. Our technicians can also handle all the mechanical, electrical and interior elements of a project, including full engine rebuilds, custom wiring looms, transmission and suspension repairs, and seat and trim restoration. Almost as important as our team’s technical expertise is their enthusiasm for performance cars, as they understand there is a lot more to returning an accident damaged or neglected Porsche to top condition than just making sure everything works. 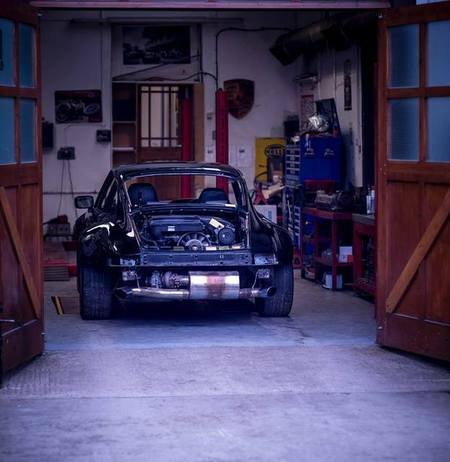 We know that authenticity is crucial - both for the value of the vehicle and your enjoyment of it - and do everything we can to make our restorations as close to the original as possible. Official Porsche data sheets and colour charts play a key role in this, but our in-house parts sourcing operation is also important. This allows us to track down the right components in most cases, but where the originals are no longer available our skilled technicians can often fabricate them. While restoring a sports car could never be described as a cheap project, we will do everything we can to help you manage costs by offering excellent value for money pricing and the same exceptional standard of customer service that Porsche owners across the UK know us for. Contact us via the website or call 0113 468 6020 to discuss how Revolution Porsche could help you complete your Porsche restoration project.